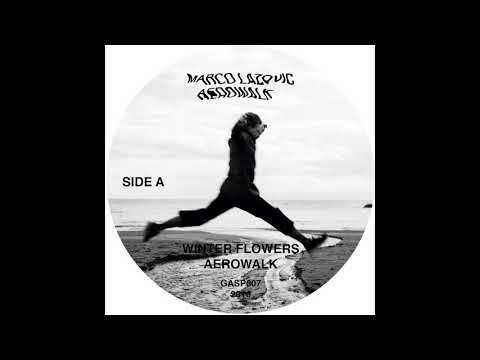 A thoroughly ethereal EP is the soon-to-be-released musical result of an eastern European collision of Warsaw label, Gasp, and Moscow artist, Marco Lazovic. Four tracks of heavenly chords and big reverbs are split into three breakbeat numbers and a more rhythmically-conventional house track and our premiere is the EP’s eponymous Aeorwalk. Gasp’s discography, though nascent, exemplifies what’s becoming a trend in much of underground electronic music: a movement away from the synthetics of hyper-clean production quality and toward grittier and less pedantically-polished aesthetics. So it’s no surprise they’ve turned to their Russian neighbour for their seventh cut. And our premiere deserves to be its title-track. A rampant, crashing breakbeat drives this song forward with the help of a simple three-chord progression and fuzzy bassline. The song is powerful and uplifting and slots in perfectly next to Violin Feelings – another of the EP’s frantic, breakbeat tracks featuring reverb-soaked melodic elements. These two tracks are probably our favourite on the record. But also worth checking out are Goodbye Mr. Milky, which adds a spacey, playful and almost adventurous dimension, and, for the Chicago house-heads, Winter Flowers, by itself, might make this record worth the purchase. Pre-order : here!